You’ll be able to get your hands on these official Super Mario Odyssey themed amiibo. 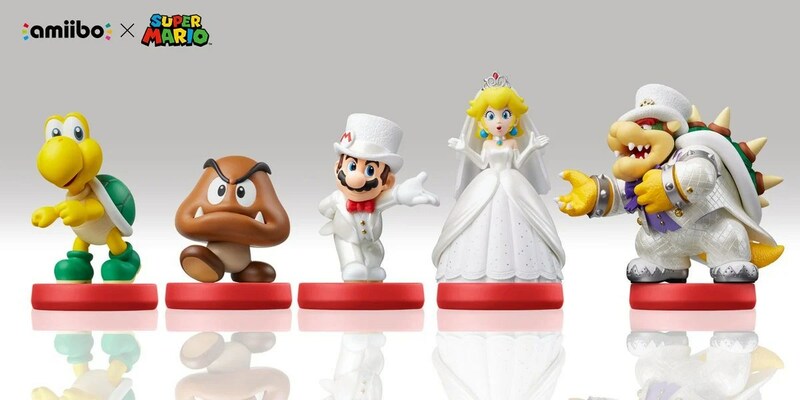 While Koopa and Goomba do get quite the generic look; Mario, Peach, and Bowser are all groomed up for the special occasion. The amiibo will be able to assist you in your journey within the game, although no new details were revealed besides that. Expect more Super Mario Odyssey news in the upcoming months. Amazon currently has the game for 20% off for Prime members as well as the listing for the Super Mario amiibo releasing in October 27 alongside the game.